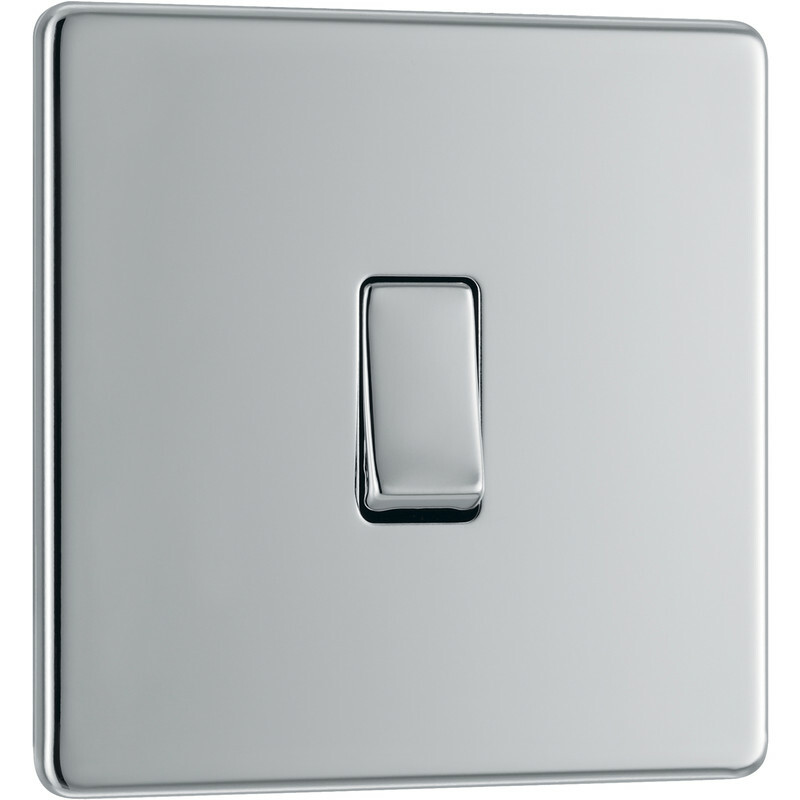 BG Screwless Flat Plate Polished Chrome 10AX Light Switch 1 Gang 2 Way is rated 4.8 out of 5 by 13. Rated 3 out of 5 by alandavieselectrical from Nice switch but faulty welding I bought one of these for a customer as I was installing an extra light so needed two-gang in the hall and it matched the present one. Straightforward to fit, however, when I removed the decorative face plate, one retaining clip was left on the wall-mounted switch plate. On examination it had been a "cold weld" with no debris behind the face plate. This problem resulted in the decorative plate being loose and wobbly on the lower half. therefore had to use adhesive to prevent this which did work. If I was to need one again, I would purchase two just in case one had this fault again. Apart from this, the switch exhibited a lovely finish and good mechanism. Rated 5 out of 5 by Evdama from Good quality Looks great on black painted patress.Nice firm action on the rocker.Screwless plate easily pops off with small screwdriver behind one corner. Rated 5 out of 5 by Fabs from Great Nice product would recommend.